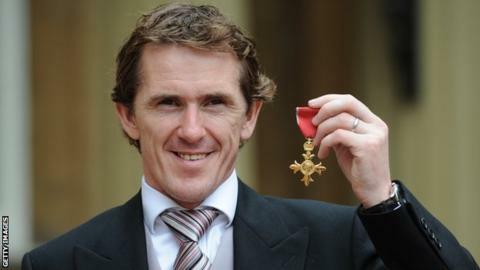 Champion jump jockey AP McCoy is working on his first horse racing novel which will be titled Taking The Fall. The book, a thriller, will be set in the 1970s and feature a young jockey called Duncan Claymore. "It's a great challenge writing the new novel, thinking of story lines and the title, but it's all progressing well," said the Northern Irishman, 38. A spokesman for Orion Books said the publishers would "give some help" with the writing of the book. "Duncan Claymore is a conditional jockey on the way up," said the spokesman. "He is a super talented rider and should have a full book of rides but he is struggling - could it be because he won't take instructions and cannot keep his mouth shut?" McCoy, who was voted BBC Sports Personality of the Year in 2010 after winning the Grand National on Don't Push It, is on track to be champion jockey for the 18th year running in April.